Cause and Effect Kerpoof Lesson | The Techie Teacher® . 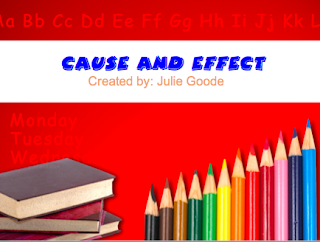 Afterwards, students used Kerpoof Studio to create posters that displayed a "cause". Once posters were completed, the students shared their scenarios with their classmates and we collaborated on a virtual wall by coming up with possible "effects". This was an incredibly FUN lesson that had the kids begging for more. Try it out!